Why is there no search function in the Store? Would make life a lot easier than having to shift thru all categories etc. LoL, there is actually integrated Search in the Store. It uses the Universal Search function of Windows 8. 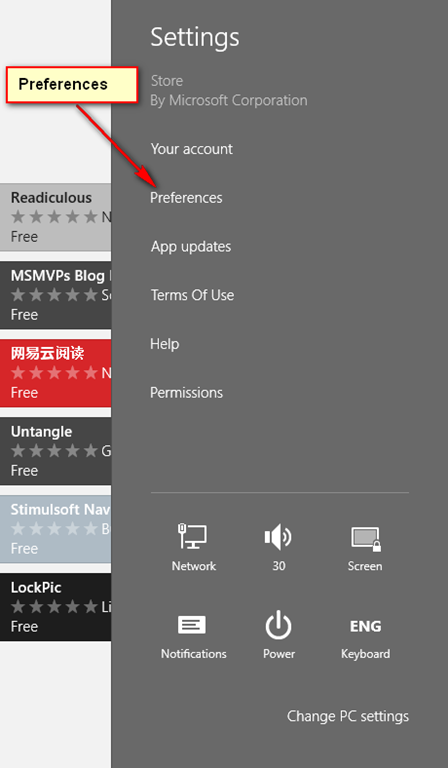 Open any application in Windows 8, including the Store App, bring up the Charm, select the Search Charm, enter your search keyword, press enter. Pronto! 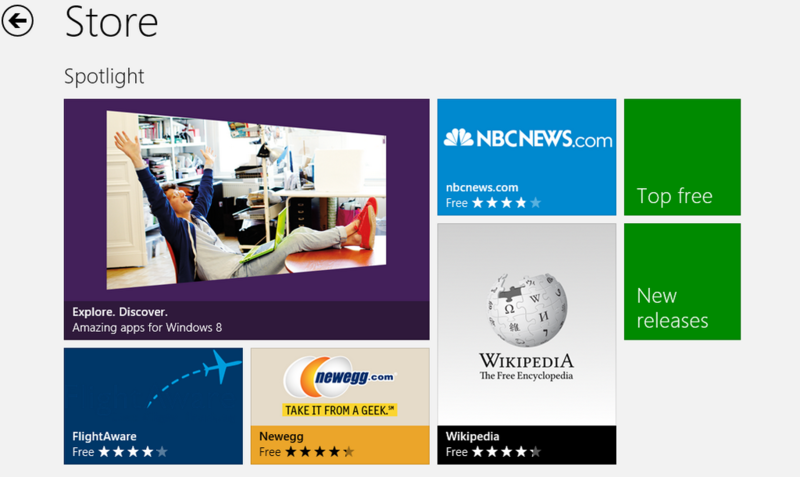 It takes a bit of getting used to, but once you’re used to it, you’ll appreciate Universal Search in Windows 8. Let me know if you still have problems. There is a more selective way to see apps in other languages and filter apps in languages you do not understand: follow steps 1 and 2. Instead of step 3 select ‘change PC settings’. In the left menu select ‘general’. On the right side of the screen select ‘language preferences’. Windows will now go into the desktop environment and opens a window. Select ‘add language’. Find the language you wish to see apps in and double click. Repeat if desired. Return to the start screen/windows store. You will now see more apps. I think you misconstrued the purpose and intent of this post. This post is only meant to activate visibility of Localized apps in the Store, or if you live outside of US, to allow you to see all English Apps in the Store. Your comment here above is to add multiple languages support to Win8 environment which definitely is not the intention of the post. The post is to configure the Windows Store and not to configure Windows 8. No, I did not. The store uses these languages to select the apps you’re able to see. I just did what cale said. I added support for USA english and I got the full catalog of apps on my store, however the store remains in my windows native language that is spanish which I love since I am not the only ne whom uses this computer so this will not affect other users interface. If you want to see other stores, just change the locale on your device (assumes you are using a device aka slate). That helps me to download Microsoft Minesweeper, which is not available in my region. That is exactly the point, the moment you set your location in Control Panel to a particular Locale, you’ll be missing out on Apps that are locked for your Locale. There two type of Apps Availability. When a Dev submits an App for publication in the Store, he has to give up whether the App is generally available to all countries of World or it should be available to certain Countries. If your app is set for a particular country, even setting this Settings I mentioned in this post will not help you. You have to come from the App’s country or specifically set your locale to the same country to see the App. I will write another post to clarify this all. Another example of a region locked app is Nook. Here in the UK it does not appear in the marketplace. Big bummer as there isn’t an easy way to view Dark Horse Comics on Windows 8. You can temporarily set you Locale to US in Control Panel to install it, then set back to UK thereafter. The App will continue to function after install, I can’t say though for content you get. Changing your region in (search for-settings-” region”) allows you to download the apps locked put of you’re country. Unfortunately you may not be able to use those apps. Hulu plus for example, isn’t available out side usa. Change region, you can install it but you are unable to use it. 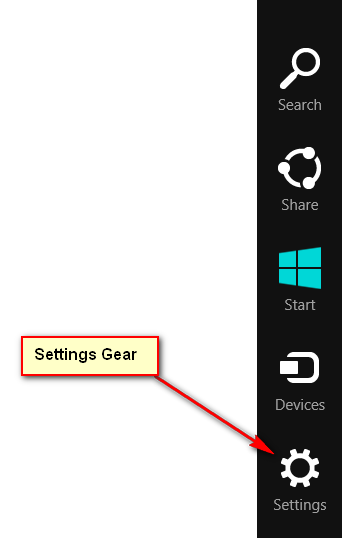 I recommend pinning the region setting for the power user, to the start screen. And getting a larger app store them before. Australia gets a teeny tiny store, so I sit in USA based region, and change when I need an Australian based app. (especially games). A search for “Citrix” showed NO apps… until your suggestion. Have you followed the steps as detailed here above. It should be a straightforward process. Run though it with attention and let me know if you succeed or not. Are you running Stock Windows 8 or you’ve installed those Start Menu replacements that bring the old Windows 7 back? Because some of them disables the Charm functionality. If you are running default Windows 8, reach me on Twitter: @McAkins so I can help you out. I will implore you to read the instruction again carefully and try again. I’m sending it to a few buddies ans additionally sharing in delicious. And certainly, thanks on your sweat! In the Home Location drop-down box check what location is default for you, you also set it to United States which will allow you to see most Apps in the Store as US region has the most apps. Glad to be of help Anne-Marie. Yes, the Nook app doesn’t get much attention that it deserves. I find it more usable than the Kindle app actually. If you want to localize your apps for the windows market, I recommend this localization tool to do the job: https://poeditor.com. It works great with resx files and speeds up the translation. 2. Is current Win8 install genuine? 3. What version OS? RT, Standard or Pro? Hi, I’m currently studying my Windows 8 exam and used this article about the Windows Store for my study. I just wanted to say thanks. Im unable to find the installed folder of applications downloaed from Windows App store. Im from India. The Folder is still in “Program Files”, but hidden as system folder. You have to unhide it to be able to access as an Administrator. Note that Microsoft doesn’t condone folks messing around in this folder, if you mess up your app, neither Microsoft nor McAkins Online is responsible. Just that you may know. 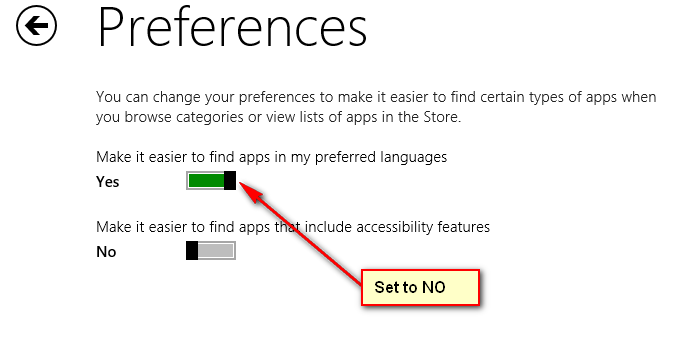 Hello,i am not getting install option in my windows store. What version of Windows 8 are you running? I am using surface 2 with window RT. I tried to change window region and other possible methods from the net. However, window store is still showing ” Sorry, Window store is not available in you region” I am from Myanmar. Is there anyway I could do to be able to get access? Surface 2 is pretty useless for me if I could not access to window store as it doesn’t allow .exe application. Sorry to hear you’re having issues with your Surface2 Store access. I am sure it’s something we can help you with. Hit me up on @TechFixIT on Twitter, I’ll see what I can do to help. Goto your control panel > region > location, and change it for the desired location. You can change it back after downloading the app. Great post. Any chance you’ve heard this scenario? I live in Korea, but I want to surf and download English apps. I changed the settings, and managed to get news, weather in English, but one app, just one appears on my metro screen in Korean. Did I mention it is just one, out of all of them!! Why would this be? I understand that Bing search is somehow tracking me based on my ISP, so I’m trying to figure that out, but do you have any insight into the app language problem? I enjoy internationalism but not when it’s foisted upon me. Sorry for taking this long for getting back to you. Please let me know if you’ve resolved the issue, or you still need help with it. Normally, you should be able to get all the apps once properly configured. Very nice article. Thanks for sharing the information. I was looking for the localization option to check out the apps in my locality and you simply made my task easy. As said above I understand it comes with pros and cons but at least it will let you set your preferences.